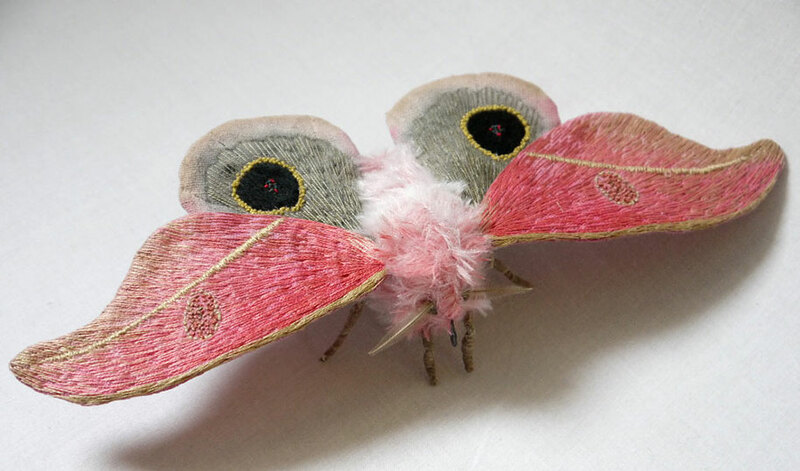 Two Nice Things: Yumi Okita makes textile moths, reminds me of the Limberlost. Moths! They’re the redheaded stepchild of the butterfly family (no, that’s not science, but it feels true anyway). They’re ugly and furry and yet, in Yumi Okita’s hands, they’re kind of… cute? Cuddly? Fuzzy and warm? Not since I read A Girl of the Limberlost (a novel by naturalist Gene Stratton-Porter published in 1909) have I been so taken with moths. The book tells the story of a young Indiana girl named Elnora who sends herself to school with the money she makes selling insect specimens. She goes into the Limberlost swamp—what a wonderful, fantastical name for a real place!—where she finds all manner of strange flora and fauna. I think Elnora (again, that name!) 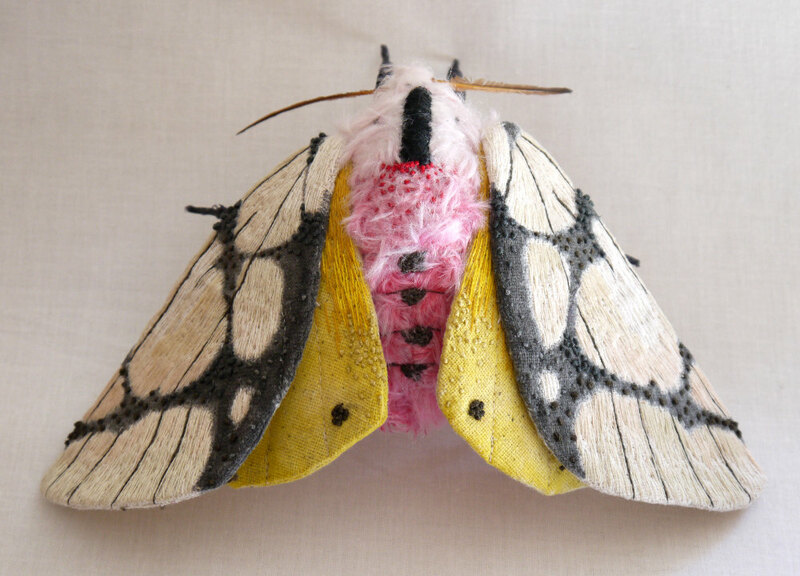 would love Yumi Okita’s textile moths. 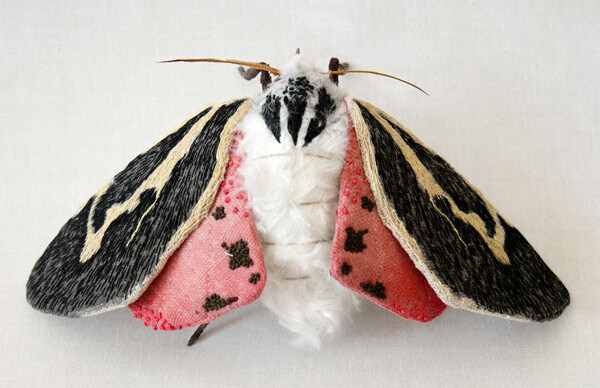 She makes these beautiful patterned winged things from yarn and string and fiber. You can’t tell from these pictures, but the moths are actually huge—each wing is about as big as a hand. I particularly like these three, but Okita creates insects (and flowers) in all different shapes and sizes. They mimic real life, but they’re infinitely more beautiful than the average brown moth you see dive-bombing a lightbulb. Just look at the patterns! And I’m really loving this particular color scheme right now. Rose and dust and dusty rose and soft browns and warm ivory. See more of her work here. < Previous History of words gets visualized in Minna Sundberg’s lovely arboreal chart. Next > I want to move to Iceland for the Jolabokaflod.